Who is The Most Beautiful K-Pop Female Idols 2019? 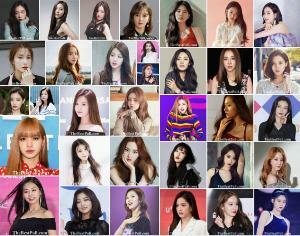 We choose the Most Beautiful K-Pop Female Idols 2019 according to your votes. This list is composed of the Most Beautiful K-Pop Female Idols 2019. Choose your favourite one and vote for her! If your favourite K-Pop Female Idol is not take place in our list, we can add her according to your comments above our post. You can vote only once in 24 hours.